7/30/18: We are no longer accepting vendor applications. Thank you for the overwhelming interest in being a part of the Newtown Yoga Festival!!!! A special thanks to our vendors! Back for their 5th year, enjoy a seasonal, locally sourced, farm to table lunch. Beautycounter offers safer, high-performing skincare and makeup products without the use of over 1500 toxic or questionable ingredients. 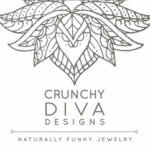 Handcrafted raw crystal jewelry including rings, necklaces & earrings. For those with a sweet tooth, you can choose from cupcakes, cookies, whoopie pies, fudge and more! Unique jewelry made out of hand selected stones, minerals, and other natural materials. Using a combination of raw materials, reclaimed objects, and innovative methods assures that designs are one-of-a-kind. Stephanie Besson will be offering chair massage. 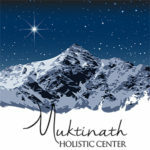 This unique treatment incorporates clinical/orthopedic massage, myofascial release & Reiki energy work. Also available will be sun catcher crystals, organic, wildcrafted essential oils & flower essences custom blended by BioLumenessence. A new small business offering quote cards and Living with Intention card kits, in addition to yoga and mindfulness classes and parties for children. Purchases of wish bracelets will benefit the DS Act Buddy Walk. Back again with beautiful Chamsa shirts and tees. Gemini Dream Jewelry Hand-designed jewelry featuring natural stones. Juice Plus+ Juice Plus+ is whole food based nutrition in a capsule or chewable that contains juice powder concentrates from 30 different fruits, vegetables, and grains. From farm to capsule, Juice Plus+ is an affordable way to help you eat better, look better, feel better – live better. Chill out in these super soft, laid back tees and tanks. Look good in a variety of cuts and styles to suit any body. Feel good knowing that a percentage of every purchase is directly donated to the Bali Animal Welfare Association (BAWA). 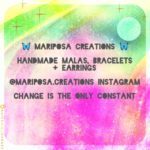 Mariposa Creations will be back with their handmade malas & bracelets. Arial, Power Vinyasa & Hot Yoga classes as well as paddling adventures. Will be offering yoga accessories. Organic. Vegan. Handcrafted. Always. All products are handcrafted with organic ingredients, and free of animal by-products, parabens and artificial dyes. 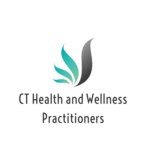 Helping clients cultivate awareness, find peace, connect to their happiness and healthiest self through breath, movement, nutrition and healthy habits. New Dawn Reiki Handcrafted crystal & semi-precious gemstone jewelry that is cleansed with sage & infused with Reiki energy. Stop by for a 5 min free Reiki session. Nutshell creates organic, gluten-free and vegan snack bars with unique flavors such as Turmeric Mango, Big Fig and Java. 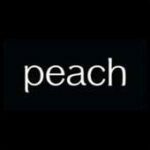 Peach designs contemporary fashion for gym, work, and play. Our amazing products are sold through a network of stylists who create fun, personal shopping experience. Our mission is to be a force for good for women and help them thrive personally and professionally. Redding Meditation Society Stop by their table to discuss mindfulness and insight meditation. They offer a variety of classes. Reiki Will Travel Mini-Reiki sessions will be available. You can schedule an appointment during the day. Back for a third year, Sanctuary Angel Hawk is a Center for Spiritual Peace providing like minded people a place to gather, embrace and celebrate the divine. They also offer unique altars, dream catchers and divination tools. Sign up for a class or workshop! Enjoy a seasonal, locally sourced, farm to table lunch packed in Eco-friendly, recycled and biodegradable containers. The wonderful Deidere Farley of Tranquil Body Massage will be back again offering 10, 15 & 20 min chair massages to help soothe your aches and pains. Sign up early for a spot! Offering table or chair massages as well as handmade crystal necklaces & candles. Massage & Reiki help balance the body & mind. 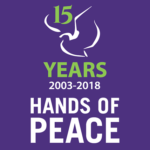 VETOGA Vetoga brings the healing arts of yoga and meditation to the active duty military, veterans and their families and communities by offering teacher training scholarships and free classes to other vets/military. Vintage Terrariums This mother-daughter artisan team makes hand-crafted terrariums, succulent planters and cut flower arrangements from their organic flower garden.